﻿ How to Use Email to Boost Your Real Estate Sales » Red Mango Marketing! You’ve got a listing of beautiful houses, a sleek website, and the right mix of salesmanship and trustworthiness that sets the great realtors apart from the good ones. But somehow you’re not receiving the attention and sales you’re looking for. It could be that the problem lies in your marketing strategy. When was the last time you took a long, hard look at your email marketing? If email marketing isn’t consistently impacting your business results, it’s time to change your approach. To position your business as a credible authority, focus on homeowner tips that demonstrate your expertise. Sending the latest tips and news will benefit your audience, leading them to view your business favorably and rely on you for future updates and information. Tip: Check out how Brandon Stewart of David Griffin & Company Realtors uses his email newsletter to grow and engage his audience. Email marketing offers a valuable opportunity to share your listings with the people most likely to be interested — current prospects and agents. You can include multiple listings per an email, each accompanied by full details and property pictures. Tip: See how Robert Paul Properties gets the right message to the right people by allowing people to opt-in to specific listing areas. Encourage your audience to refer friends and family by offering an incentive like a gift certificate. This will help you acquire quality leads, connect with other agents, and ultimately boost your revenue. Check out the image below for more email content ideas, and visit our Real Estate Marketing Ideas page for template ideas and sending tips. 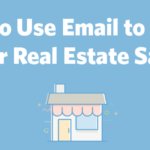 The post How to Use Email to Boost Your Real Estate Sales appeared first on Constant Contact Blogs. This entry was posted on Friday, October 21st, 2016 at 10:15 am	and is filed under content, Email Marketing, News & Updates. You can follow any responses to this entry through the RSS 2.0 feed. Both comments and pings are currently closed.